Presenting the happy memories and feedback of our clients from around the globe, we have a dedicated section to check out Indian Holiday Pvt. Ltd. Reviews. Our clients speak for our services, our two-time national award winning company and the experience they had booking their tour with us. We do not need to speak for ourselves, as our client commendations are enough to do the job. When it comes to meeting client expectations, you can be sure that Indian Holiday Reviews not only meets them, but also exceeds them, in every way. Customer satisfaction has always been our first priority, and this can be attested by the positive and outstanding reviews received by our company. 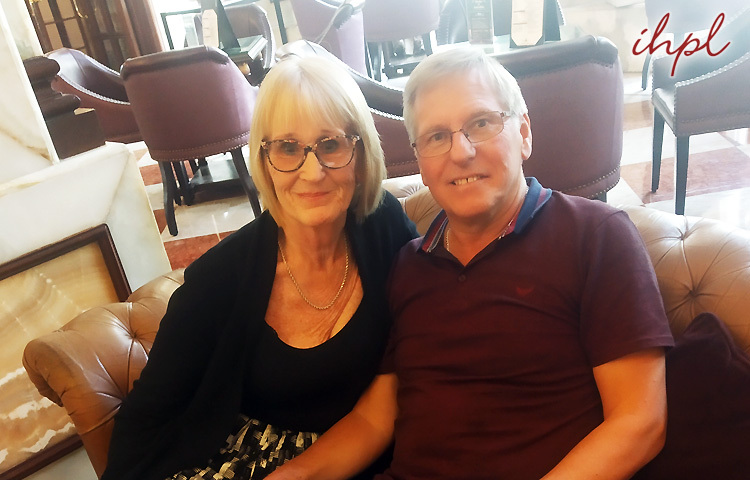 Our guests from Ireland, Mr. Peter Simmons and partner booked their holiday in India with us. They got their holiday tailor-made by us. Starting from the Golden Triangle circuit covering cities of Delhi, Agra and Jaipur, they made the addition of Ranthambhore, Varanasi, Cochin, Kumarakom, and Alleppey to their tour. 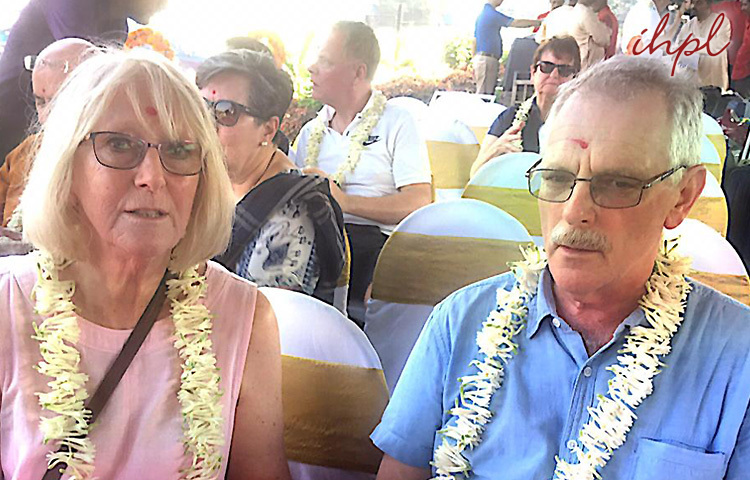 Their incredible vacation included sights of the olden days, architectural marvels, wildlife including the majestic Royal Bengals Tigers, sacred rituals, romantic experiences, houseboat rides sailing on the charming backwater of Kerala and memories that they will cherish forever. 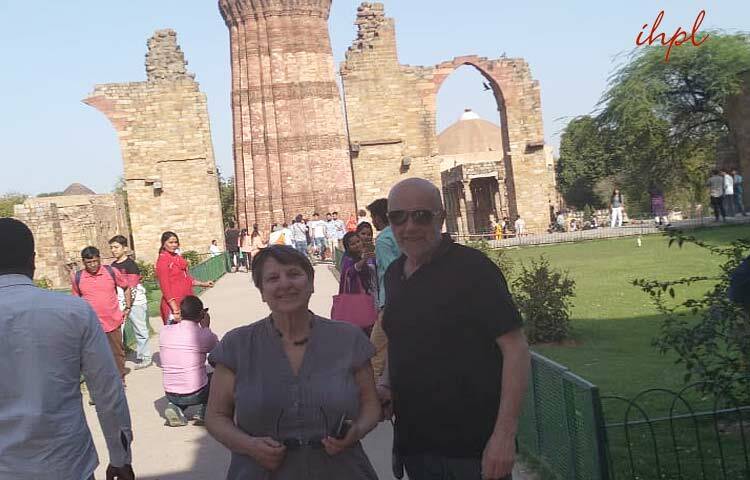 Our guests from Ukraine, Mr. Oleksandr Sharkhin and partner booked a tour of India with us. They holiday covered India's Golden Triangle Circuit as well as Goa. While Delhi, Agra and Jaipur fascinated them with marvelous architecture of forts, places and the wonder of the world Taj Mahal, Goa gave them a holiday of relaxation, thrilling beaches, watersports, colonial sights and fun! 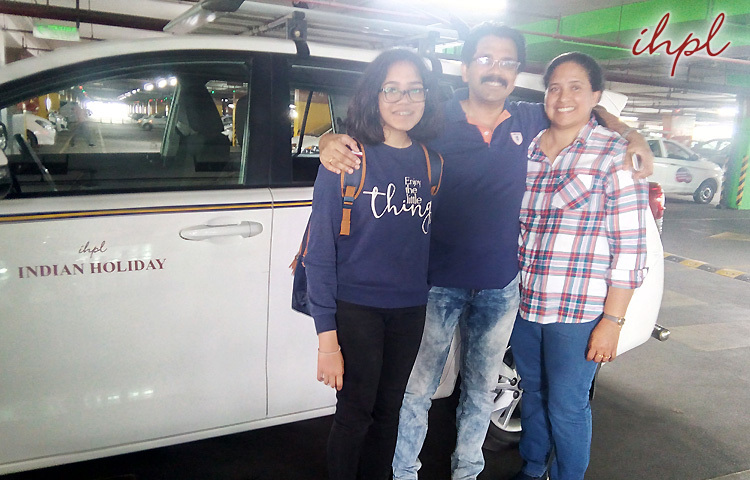 Dr. Binu Varghesi & family from Bahrain chose our services for their holiday in India. They chose the journey covering Delhi, Shimla, Manali and Chandigarh. 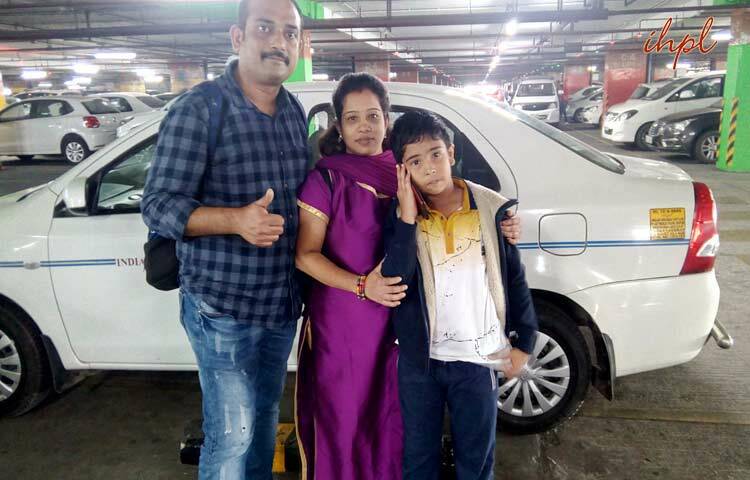 After soaking in the mesmerizing attractions of Delhi they proceeded towards the hills to enjoy the bliss of Shimla and Manali along with the beautiful city of Chandigarh. 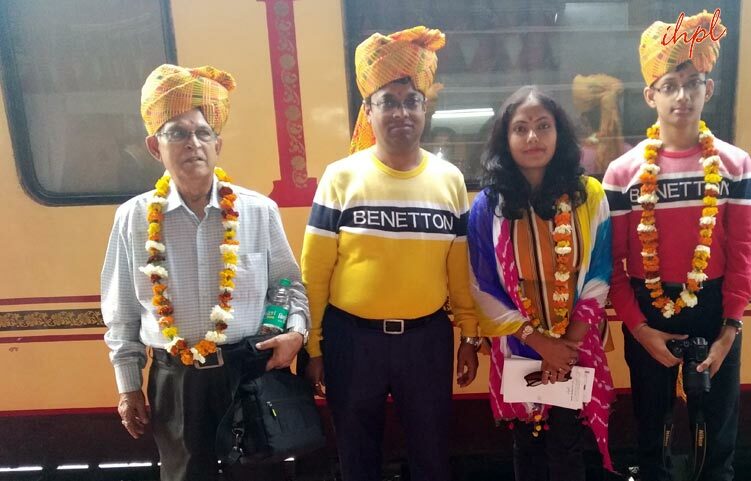 Mr. Ademir Sebastiao Pedro De Souza from Brazil booked a tour of the Indian luxury train Maharajas' Express to experience India. He chose the luxury train journey Indian Splendor covering Delhi, Agra, Ranthambore, Jaipur, Bikaner, Jodhpur, Udaipur, Balasinor and Mumbai. Besides the fabled Golden Triangle Circuit, the tour includes other mesmerizing cities of Rajasthan that were once glorious empires of Rajputana and also a magnificent empire of the extinct dinosaurs. 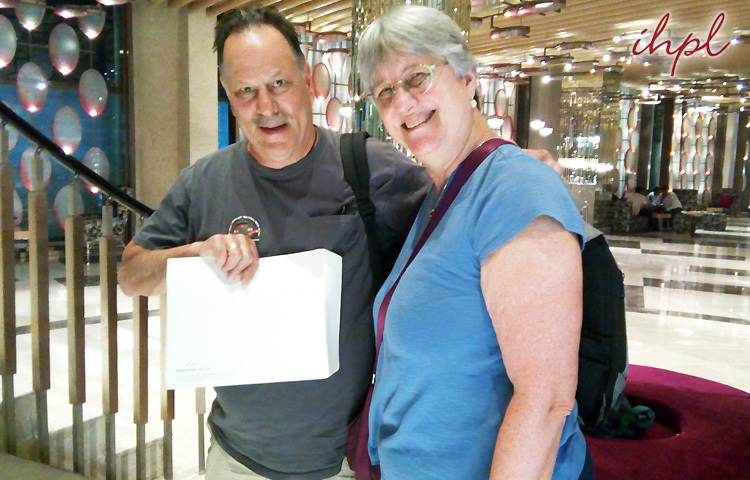 Our guests from UAE, Mr. Ben Nolan and partner booked their holiday in India with us. The Golden Triangle Circuit connecting Delhi, Agra and Jaipur was their choice. The excursion included visit to majestic forts, royal palaces, lively markets, and more. The glimpse of the colorful culture was the highlight of the tour as was the pampering Indian hospitality. 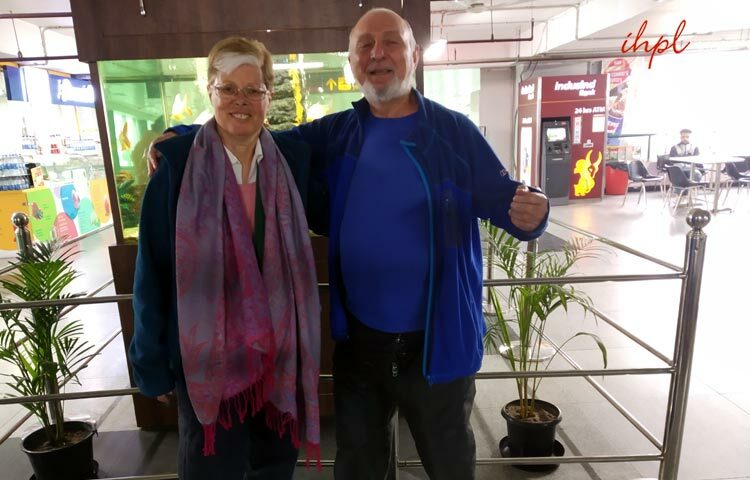 Our guests from United States of America, Mr. William Clair Britton along with his wife booked a tour of the fabled Golden Triangle Circuit in India. 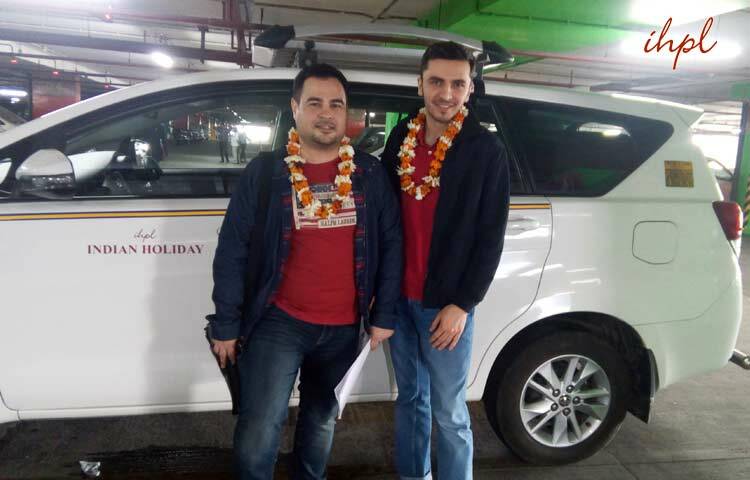 Their tour covered the pleasures of architecture, history, culture, sightseeing, and other experiences of Delhi, Agra and Jaipur. The view of the Taj Mahal along with other wonderful experiences left them with fond memories of India! 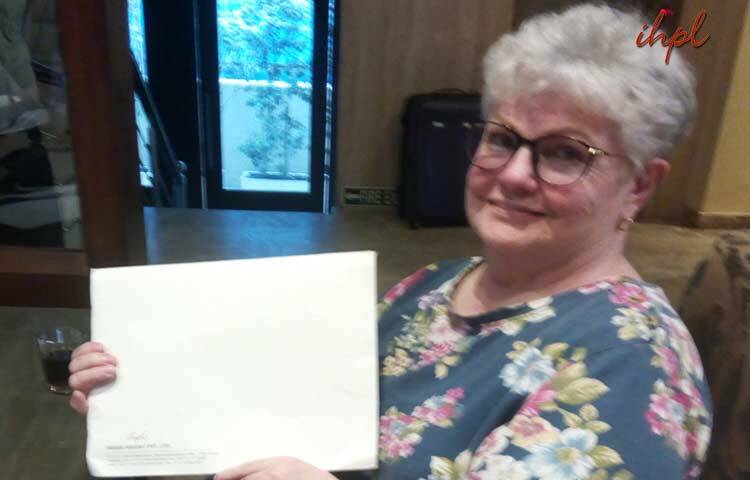 Ms. Margaret Elizabeth along with her companion was delighted to plan their 10-day Golden Triangle with Udaipur tour with IHPL. 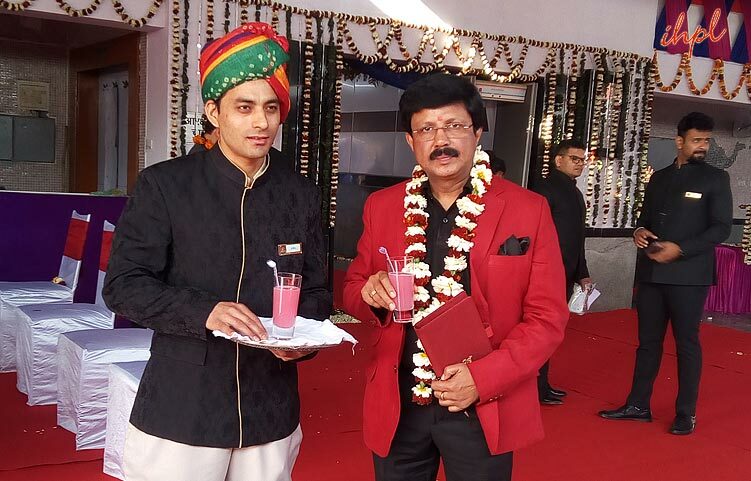 Our esteemed guests enjoyed a lot while exploring myriads of attractions in Delhi, Jaipur, Udaipur and Agra. 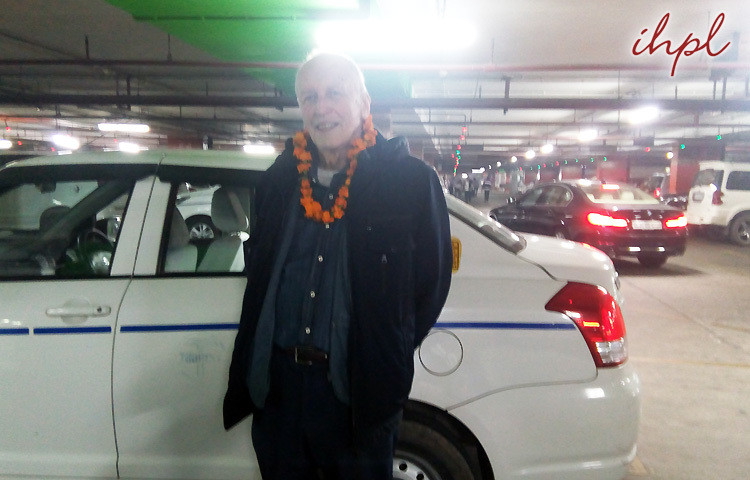 Mr. Oleg Plekhov from Russia wanted to explore India in a way like never before. So, IHPL helped him treat himself to the Golden Triangle Tour. The 6-day journey to three iconic cities offered him several experiences to be cherished forever. 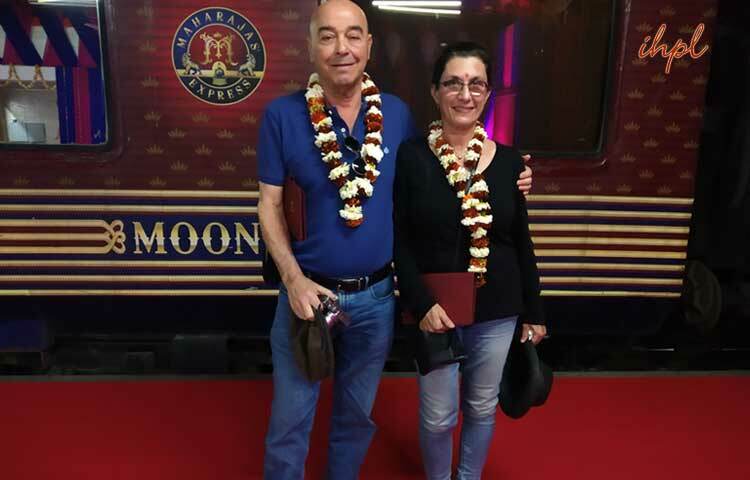 Our guests, Mr. Gershon S. Yonas & Ms Claudia from Israel boarded the Indian luxury train, Maharajas' Express. They chose the journey Indian Panorama. Their week-long holiday covered places such as Delhi, Jaipur, Ranthambore, Fatehpur Sikri, Agra, Gwalior, Khajuraho, Varanasi and Lucknow. Besides the comforts of the world’s leading luxury train, their holiday included amazing sightseeing, lavish dining, and memorable experiences. 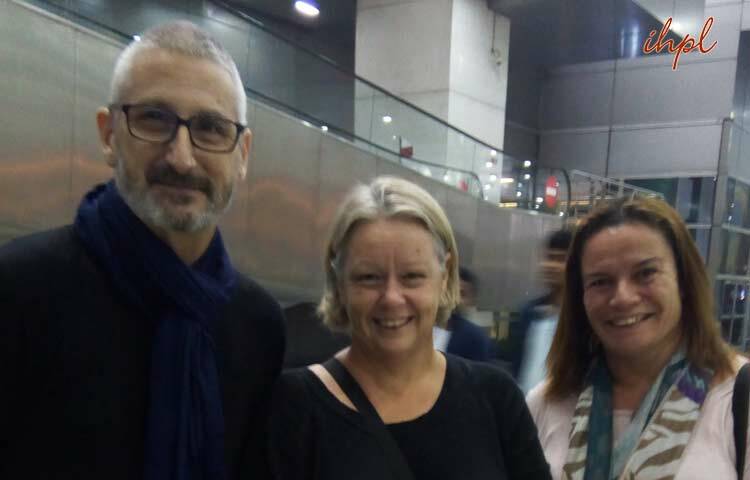 Welcoming Ms. Christine Sherwin & guest from UK was a pleasure for IHPL. They booked Golden Triangle and Varanasi with Khajuraho tour. 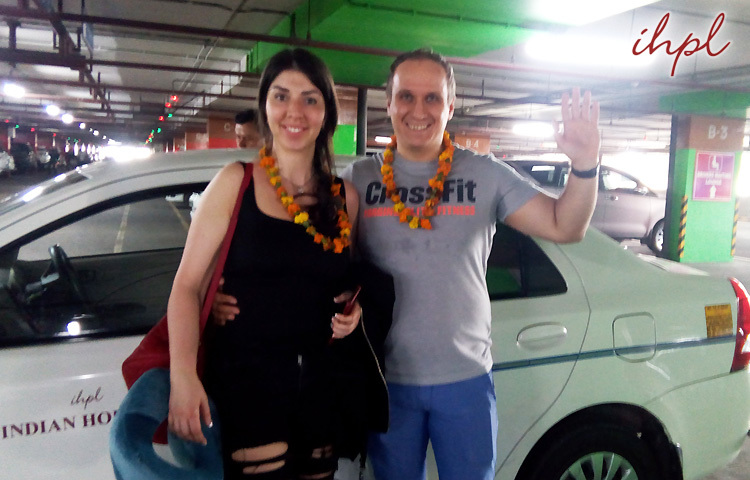 They left for their country fully satisfied after availing our services for 11 days. Mr. Jayaprakash P. and family enjoyed a tour of Golden Triangle Tour planned by us. 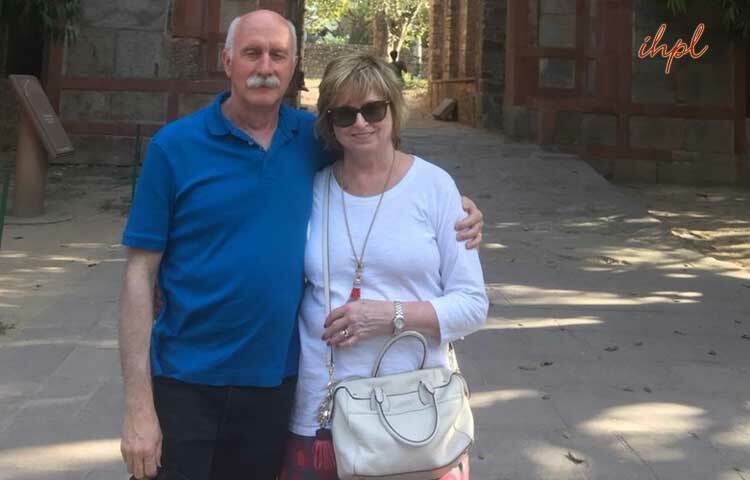 They were mesmerized by the massive forts, royal palaces, colorful culture and the traditional hospitality on the tour of the cities of Delhi, Agra and Jaipur. 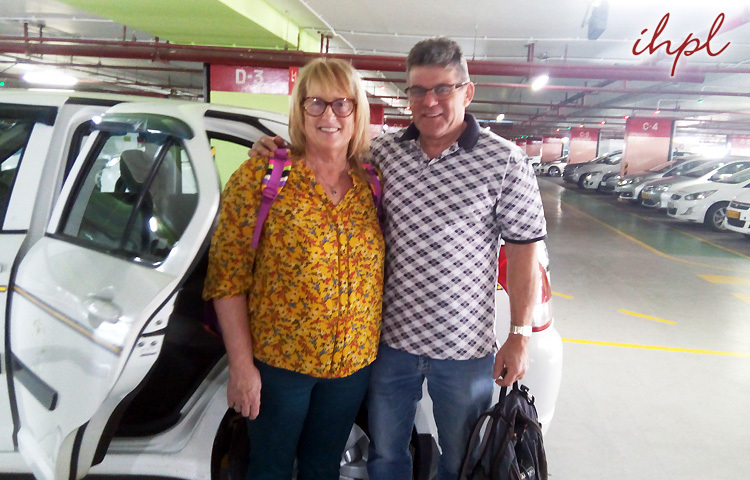 Our guests from United Kingdom, Mrs. Diffey Janne Elizabeth and family booked their holiday in India with us. They chose to enjoy the fables of Golden Triangle Circuit as well as the Kaziranga Wildlife Sanctuary. They explored the incredible architecture ion Delhi, Agra and Jaipur along with wildlife adventure in Kaziranga, the haven of one-horned rhinoceros. 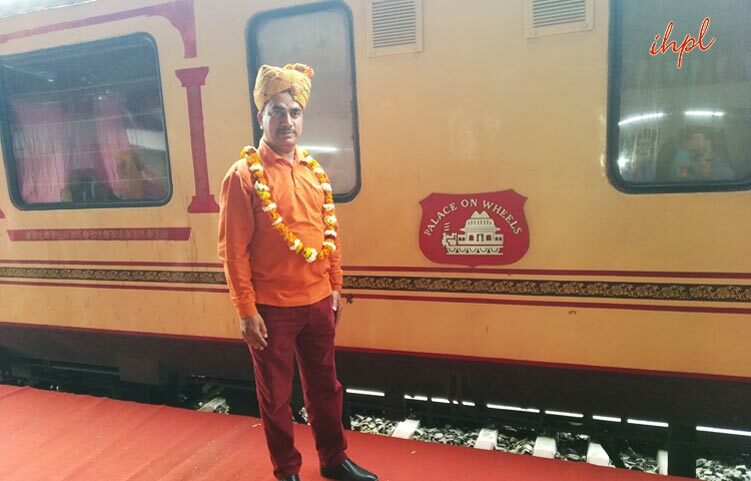 Our guest Dr. C.S Barua boarded the Indian luxury train, Palace on Wheels for a week-long journey. The weeklong journey covered the charms of Rajasthan, especially royal cities of Jaipur, Chittorgarh, Udaipur, Jaisalmer, Jodhpur, Bharatpur train to Mughal city of Agra, moving to Sawai Madhopur to enjoy a thrilling Tiger safari at the Ranthambore national park. A group of 13 from Israel booked their Indian holiday with us. They chose to arrive in Delhi and then proceeded to soak in the bliss of the Himalayas. The sights of Delhi gave them many exciting experiences. On the way to the Himachal Pradesh they explored the mesmerizing pleasures of Chandigarh, Shimla, Dharamshala, Manali and Kasol. Snow covered mountains, lush valleys, plentiful adventures and fond memories. 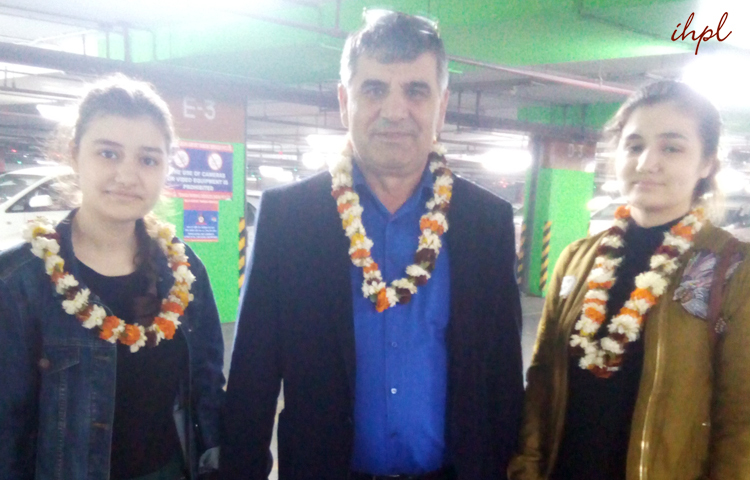 Our guests from Azerbaijan Mr. Aliyar Aliyev and two companions booked a tour of the Golden Triangle Circuit in India. Traditional Indian welcome along with the fascinating historical sites, mesmerizing architecture, colorful culture gifted them an enjoyable trip of Delhi, Agra and Jaipur. Our guests from Brunei, Ms. Haley Bruca & Family chose to enjoy the Golden Triangle Tour. They had a fun time in the royal cities of Delhi, Agra and Jaipur. From the mesmerizing forts, palaces, and other architecture to the vibrant culture of the royal provinces to the hospitality of traditional India, their vacation was full of cherished experiences. Our guests from Azerbaijan, Mr. Zakir Bayramov & Mr. Nail Babaye V booked with us a tour of Golden Triangle circuit and Ranthambore. 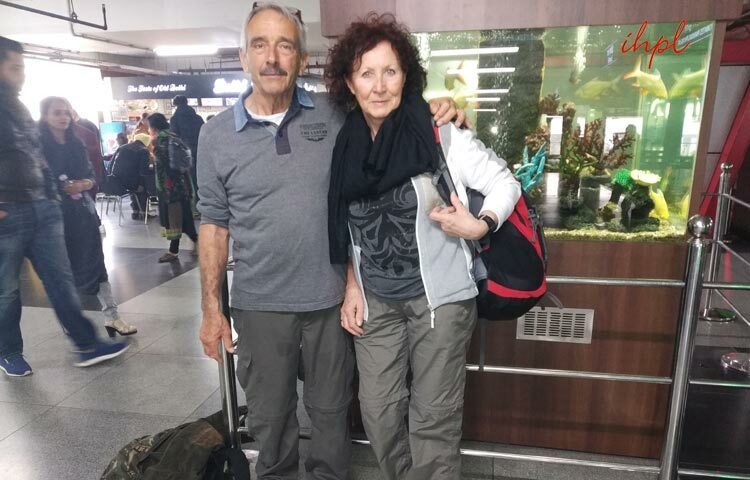 Their vacation included the excitement of the fabled Golden Triangle- Delhi, Agra and Jaipur and the Tiger haven of Ranthambore National Park. 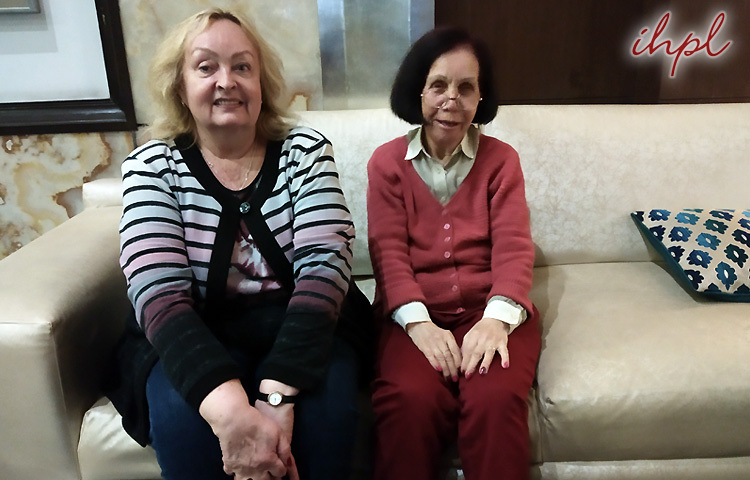 Ms Katherine Longbrake from USA was our guests in India. She chose to tour the Golden Triangle Circuit. Her holiday was full of fascinating sights of Delhi, Agra and Jaipur. She was overwhelmed by the majestic architecture, colorful culture and the many other charming experiences. Dr. Sandeep Kulreshtha booked a tour of Maharaja Express with us. 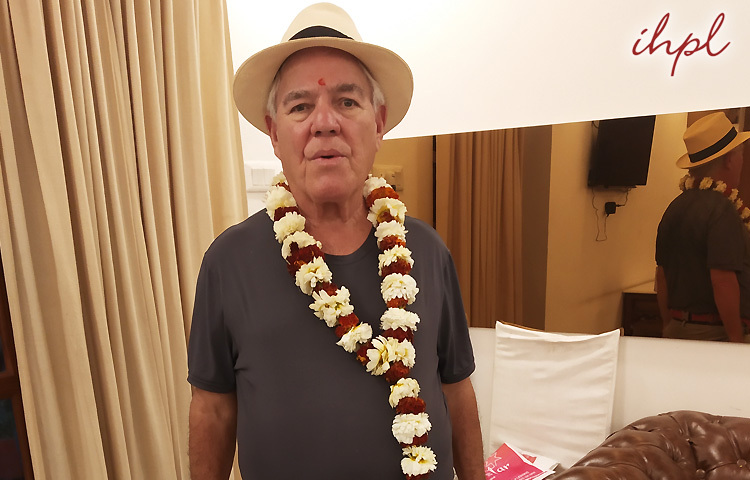 He chose the Treasures of India journey to enjoy the fascinating attractions of the fabled Golden Triangle Circuit in India covering Delhi, Agra and Jaipur along with Tiger haven, Ranthambore National Park. 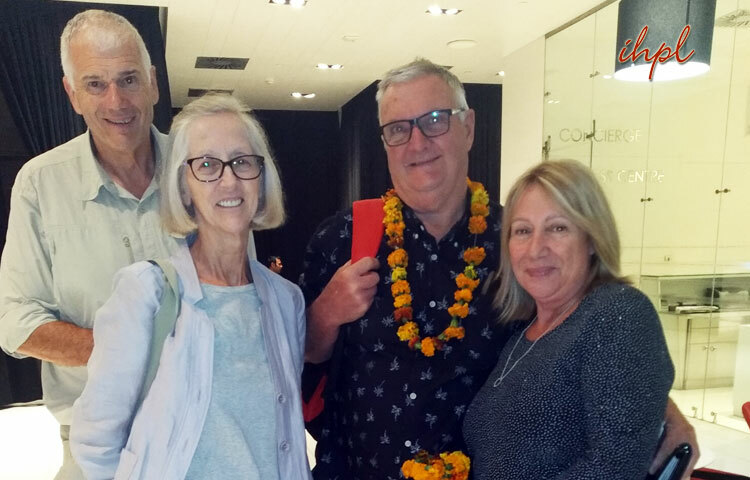 Flying all the way from Australia, our guests Mr. & Mrs. Wickham and Mr. & Mrs. Conway booked a tour of Golden Triangle with us. They chose the fabled circuit covering Delhi, Agra and Jaipur enjoying the historic sites, iconic landmarks and charming experiences. 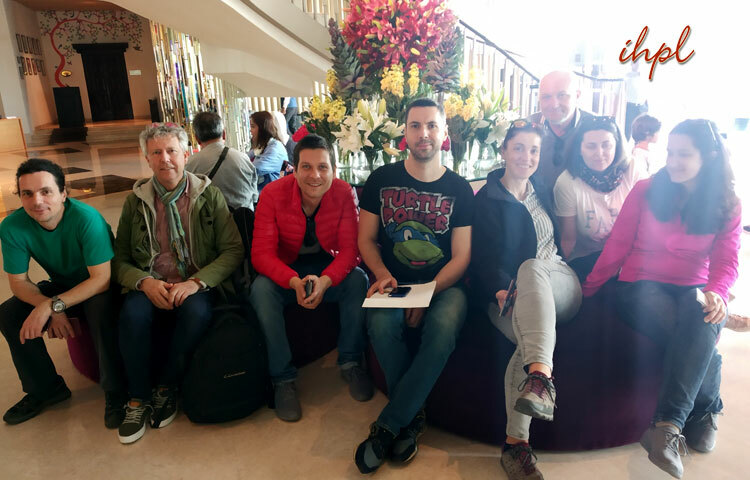 Our guests from Romania, Mr. David Bogdan Vararelanu and this troop of seven booked a tour of Golden Triangle for their Indian Holiday. 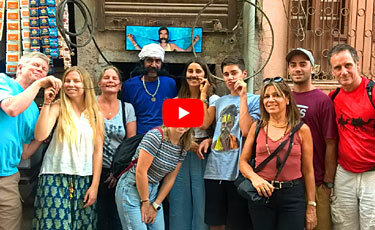 They visited the charming cities of Delhi, Agra and Jaipur enjoying the iconic landmarks, especially the Taj Mahal, colorful culture and other wonderful experiences. Mrs. Kavita Sharma and her husband were our guests on their holiday. They booked with us a train tour aboard Palace on Wheels, the first of luxury trains in India. They chose the lavish journey aboard the extravagantly-decked train. The chose itinerary started from Delhi and completed on the city covering Jaipur, Sawai Madhopur, Chittorgarh, Udaipur, Jaisalmer, Jodhpur, Bharatpur and Agra. 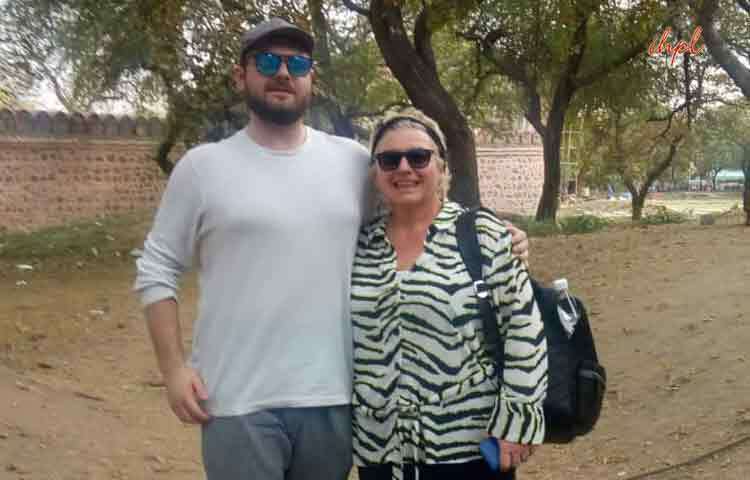 Our guests from Russia, Ms. Ekaterina Gromazina and her companion had booked a tour of the Golden Triangle Circuit and Ranthambhore. 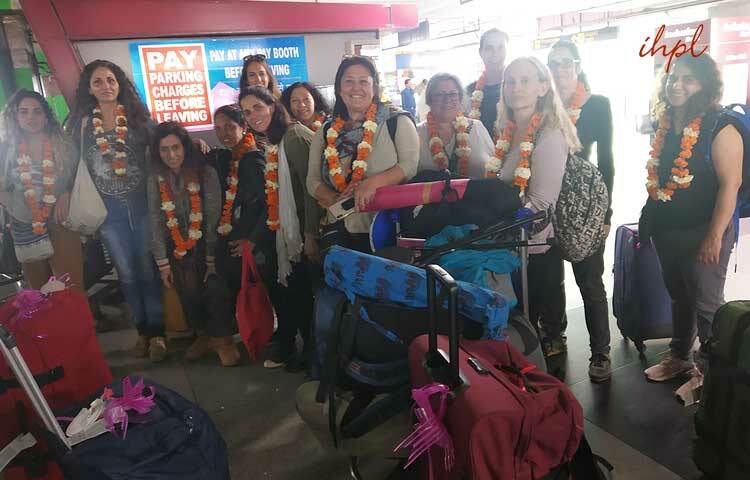 They chose to explore the fascinating sights of Delhi, Agra and Jaipur in addition of enjoying a thrilling tiger safari at the Ranthambore National Park. Mr. Morechy Areily from Israel was overjoyed to book North India + North East Tour by IHPL. His pose along with his companion speaks volume about their wonderful trip spanning for over 18 days. Mr. Terence Matthews with his companion booked Rajasthan and Andaman tour offered by IHPL. Both of them were delighted to explore the ‘Royal Land’ along with the scenic beaches of a beautiful archipelago. 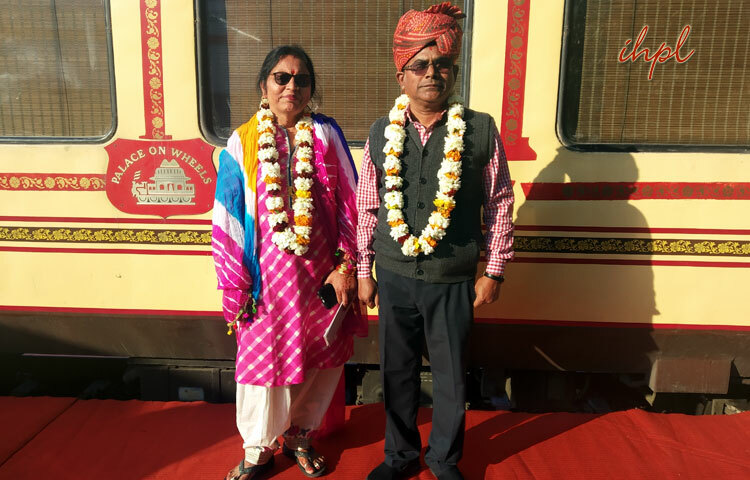 Our guests from United Kingdom, Mr. Glen Strong & Mrs. Davina Strong chose to ride the Indian Luxury Train, Deccan Odyssey on their holiday in India. The chosen train itinerary was Maharashtra Splendor, a week-long itinerary from 23rd Feb to 2nd March 2019. The royal experience of the journey along with mesmerizing sights made their Indian holiday truly worthwhile. 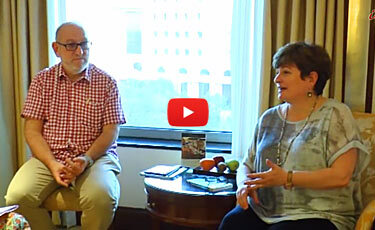 Traveling all the way from United Kingdom Mr. Adrian Eric Wake & Ms. Janice Hutton were our guest in India. 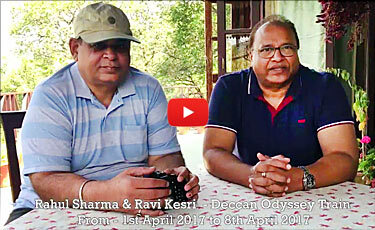 They chose to board the Indian luxury train Deccan Odyssey for their holiday. The itinerary they chose was Maharashtra Wild Trail that introduced them to the enthralling sights of history, heritage and culture along with exciting adventure in the wilderness. 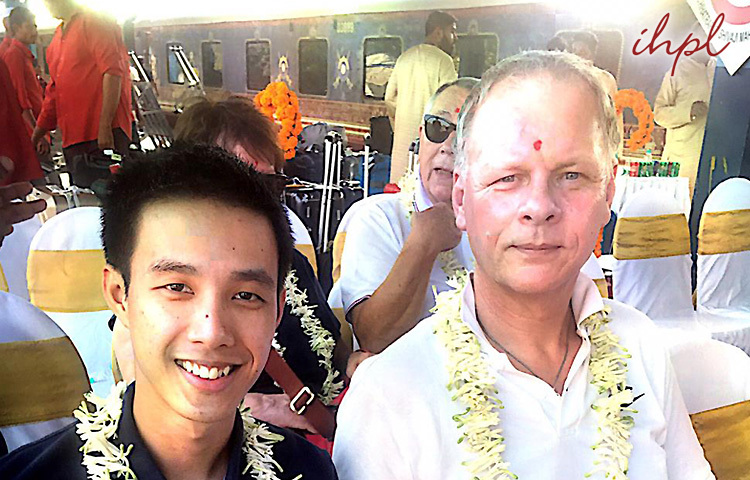 Mr. Chinnakorn Chainet & Mr. Stephan Scharke, residents of Germany booked their holiday in India with us. 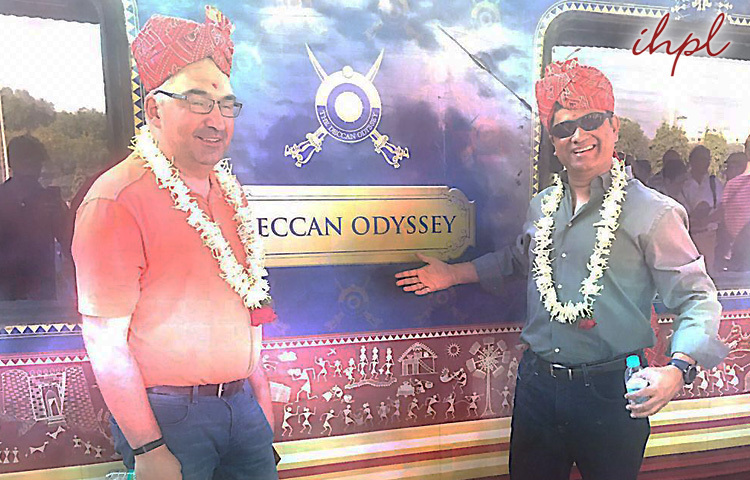 They chose to experience India aboard the luxury train, Deccan Odyssey. Their chosen itinerary was Maharashtra Splendor, the week-long journey traversing through the charming locales of history, heritage and culture in addition of pampering experiences. 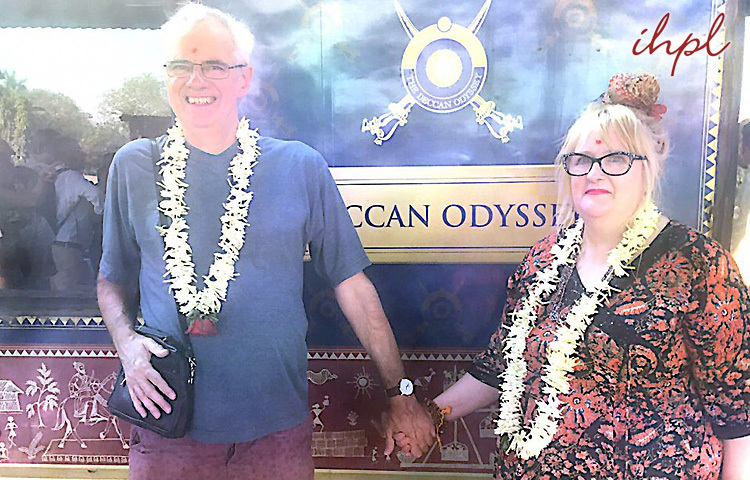 Our guests, a group from USA planed their holiday in India on the luxury train, Deccan Odyssey. They embarked upon the exhilarating itinerary Maharashtra Splendor enjoying the sights of heritage, culture and other memorable experiences.